Farm animal drugs are medicines mainly used for healthcare-based practices for diagnosis, cure, mitigation, treatment, or prevention of diseases that could affect livestock. These medicines need to be used as per strict requirement based on their essentiality to maintain well-being of farm animals. Simply said, farm animal drugs are a key factor supporting the growth of livestock industry all over the globe. Farm drugs include a wide variety of medical substances such as anti-infective drugs, hormones, analgesics, parasiticide anti-inflammatory medicines, anesthetics, and antibiotics. The manufacturing, distribution, use, and safety of these drugs is controlled by specific administrations in most regions. Before a drug is rolled out for commercial use, it needs to be approved by these administrations. The sponsor or manufacturer of the drug must document scientific testing of the substance, and get it labelled safe and effective. The testing data should also show that a methodology is available to detect and measure any residue left in edible animal products. This needs to be done to analyze how much of the drug remains in the animal’s body, and its consequences. Apart from this, farmer and veterinary doctors need to strictly adhere to guidelines about how much time must elapse before a treated animal can be slaughtered. The drugs sold also should carry all relevant warnings, constraints, and other important information on their label. Of all drugs under the farm animal drug category, vaccinations are the most commonly used medical substances. Since several decades, an extensive use of vaccines has now been able to eradicate several diseases affecting farm animals. The vaccines need to be kept in chilled or frozen containers, and they might deteriorate rapidly after exposed to warm conditions. Farmers and others involved in animal husbandry practices need to gain thorough knowledge about veterinary practices regarding treatment of farm animals. In this way, they can become aware of all associated aspects in context of animal drugs. Farm animal drugs are veterinary products that are used in the prevention and treatment of a wide range of diseases and disorders in livestock. The usage of these products is essential for their well-being and is a key factor supporting the growth of the livestock industry world over. The wide variety of farm animal drugs comprise anti-infective, parasiticide anti-inflammatory, analgesics, anesthetics, hormones, and antibiotics. The rising number of pet ownership, coupled with a growing population of companion animals, is fostering the demand for food, feed, and pharmaceutical products. Over the years, the rising uptake of farm animal drugs has been driven by their role in reducing the burden of a number of livestock diseases. Drugs for farm animals have gained immense significance in meeting the nutritional requirements of livestock across the globe. The rising demand for meat and dairy products in various parts of the world has led farm owners and livestock managers to spend substantial sums in keeping these animals healthy. The extensive demand for these drugs in preventing a variety of infectious diseases among animals is also positively driving the growth of the market. To this end, the market in recent years has witnessed burgeoning production of anti-infective drugs. The emergence of new diseases, notably avian influenza H5N1, has caused considerable concern among industry players and governments alike, favoring the growth of the market. The substantial consumption of meat and dairy products among humans has led to the emergent condition of antimicrobial resistance, have found indiscriminate use of antibiotics among farm animals, confirmed several regulatory agencies in recent years. According to World Health Organization, the overuse of antibiotics in animals in the recent decade has been found to be contributing to the growing drug resistance in humans with serious health repercussions. Antimicrobial resistance is a genuine concern and has recently generated widespread attention in developed countries such as the U.S., Canada, and several European countries. In a bid to curb the routine use of antibiotics to boost the health and prevent diseases, WHO has recently drafted new guidelines for farmers in Europe and harped on more stringent implementation in countries where the overuse is prominent. Against the backdrop of rising antimicrobial-resistant infections world over, Health Canada has in July 2017 drafted a framework to urge livestock farmers in Canada to prevent the overuse of antibiotics. Starting December 2018, farm owners will be required to get prescription from veterinarians to buy scores of common veterinary antibiotics. Such stringent regulations are likely to have wide impact on the market potential over the forecast period of 2017–2025. The study offers critical insights into the outlook of various regional markets and highlights promising avenues and key investment trends in these regions. Developed and developing regions are expected to be potentially prominent regional markets for farm animal drugs. Europe will contribute attractive revenues to the global markets, driven by the burgeoning demand for meat. Asia Pacific is anticipated to emerge as a vastly lucrative market, with the burgeoning demand for farm animal drugs being attributed to the rapidly rising livestock industry in its key economies. The report takes a detailed look at the prevailing competitive dynamics in various parts of the globe. It analyzes the regulatory framework likely to shape that dynamics in the coming years. Several players are focusing on new product launches and spending copious funds on research and development activities and clinical trials pertaining to the efficacy of veterinary drugs and medicines. 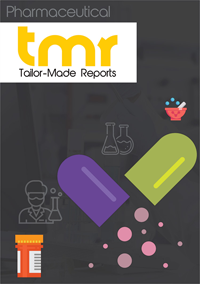 Some of the players holding prominent positions in the farm animal drugs market include Zydus Animal Health Ltd., Zoetis, Inc., Virbac SA, Alembic Animal Health, Intas Pharmaceutical Ltd., Boehringer Ingelheim GmbH, Merck Animal Health, Elanco Animal Health, Dechra Pharmaceuticals PLC, and Bayer AG.